Mardi Himal Trek is one of the least traveled routes in Nepal as many people are not aware of this trek. It is usually taken by people who pick off the beaten trails over the most popular trekking routes in Nepal. Mardi Himal is a peak that has an elevation of 5587 meters and due to the fact that few people know about his route, it is a wonderfully peaceful trekking route as compared to others. 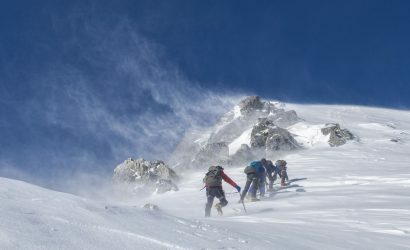 Your trial will take you through lush rhododendron, magnolia and pine forests accompanied with the scintillating view of the Annapurna, Fishtail, Hiunchuli, Tent Peak, Dhaulagiri, Manaslu and other peaks. 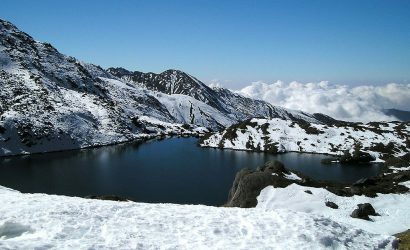 This trek is also meant for people who want the experience of the trek but have limited days. 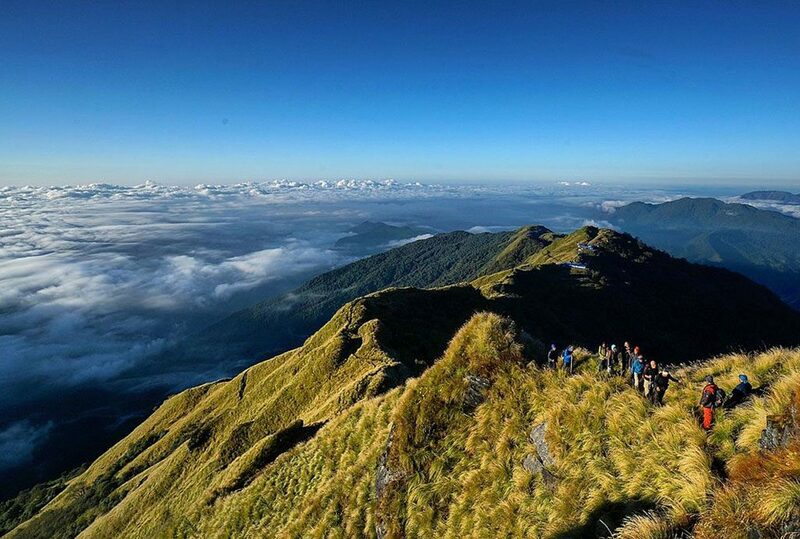 It is a moderate level trek and will take an altitude of 4,500 meters at Mardi Himal Base Camp. We will first pass through forests and as the altitude starts increasing the trails become less forested. The perfect time to visit this region would be during the spring season when this region will be blooming with flowers of different kinds. The clear skies and the unobstructed view of the mountains will make your experience an unforgettable one. You will get one of the best views of the Annapurna mountains as well as Fishtail. The view from the Upper Viewpoint will surely be the highlight of the trek. The off the beaten trails which does not see many trekkers. Majestic view of mountains such as Annapurna, Dhaulagiri, Manaslu, Mardi Himal, Hiunchuli, and several others. Passing through dense forests of rhododendrons, magnolia, pine, and oaks. Relaxation time in Pokhara after the trek. Our representatives will be there waiting for your arrival. After you arrive we will take you to your respective hotel. You will be tired after your flight so you can take rest. Later in the evening, you can enjoy the local food in Thamel which is a famous tourist hub. We’ll spend the night in Kathmandu. On the second day, we will take a bus from Kathmandu to Pokhara. It will take about 6-7 hours. You also have the option to take a flight from Kathmandu to Pokhara which will take about 30 minutes. Pokhara is a lake city which offers a tremendous view of the mountains. We’ll spend quality time at the famous tourist hub called the Lake Side. Rest of the time you can enjoy at the local restaurants and pubs. Pokhara is located at an altitude of 820 meters. We’ll spend the night in Pokhara. We will leave early in the morning and head to Phedi. It will take around 45 minutes to get there. From Phedi, our journey will start on foot. On the trail, you will find forests covered with densely populated with rhododendron flowers. We will pass through lower Dhampus and Pothana and then head to Australian Base Camp. We will have our lunch on the way to Pothana with viewing spectacular Mountain Annapurna and Machhapuchhre. After having lunch we’ll start a gentle climb through rhododendron and oak forests until reaching Pothana. After taking short rest, we’ll climb up stone staircases and until we reach Australian Base Camp. On the 4th day, we’ll be heading towards to Forest Camp, also known as Kokar. Forest camp is much smaller village than Australian Base Camp. Today we’ll continue along a quiet trail through a dense forest of oak, maple, and rhododendron. There are several stops on this trail that lets you take a view of the mountain ranges. This time we’ll get a little bit closer view of Himalayas than Dhampus. After about 5-6 hours, we’ll reach Forest Camp. From Forest Camp we take an uphill trail with is also a densely populated forest trail. Initially, the trail is quite steep but as soon we get up on the ridge, trails gets less steep. From Forest Camp to low camp it takes around 2 ½ to 3 hours. Here we’ll enjoy our lunch and after taking some rest we’ll head towards the final trekking destination of the day i.e High Camp. After an hour of walking the forested part of this region comes to an end. We will now enter grassland and come across landscape covered with rhododendron flowers. This will definitely be a unique experience. We will be walking on the leeward side of the mountain. After about 4 and a half hours, we will reach High Camp. From here you will get an unobstructed view of the view of the Fishtail, Mardi and Annapurna mountains. On this day we wake up very early in the morning and start hiking up to Upper View Point. The path is quite tricky at some spots and it would be beneficial to carry your torches. The best moment of the trek is when you see the first rays of sun hit the snow-capped mountains. We will see the Annapurna, Himchuli, Fishtail, and Mardi. You will come across Yaks grazing. The clouds will be below you and all you do is enjoy the 360-degree view that's on offer. 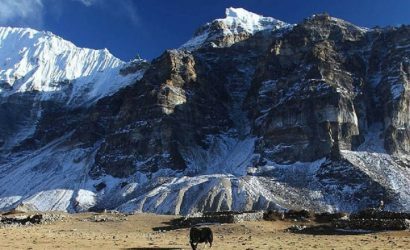 It would take 3-4 hours to reach Mardi Himal Base Camp. 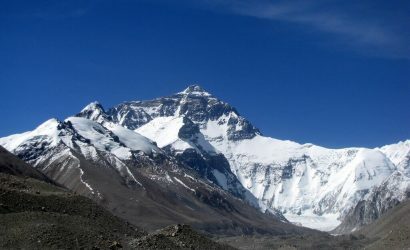 The altitude of Base Camp is 4,500 meters. 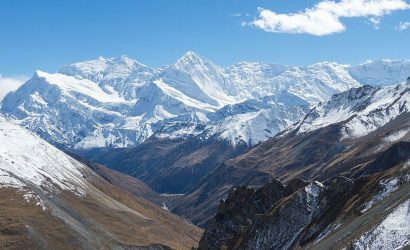 From here we’ll get the best panoramic views of the south face of Annapurna and all of the peaks in the Sanctuary as well as Himchuli and Machhapuchhre. 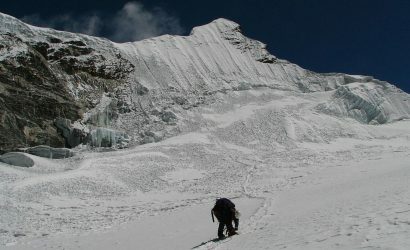 After exploring the base camp we’ll begin our descend to Low Camp. After few hours of hike, we will reach Low Camp where we’ll take rest and spend our night. On the seventh day, we will head back to Pokhara. After an early breakfast, we will head down to Kande. The trail to Kande again takes us to the forested trail. Enjoy the close-up view of Mount Fishtail before we head back to Pokhara. Enjoy the view of the terraced agricultural fields and the changing topography of the region as we get close to Pokhara. This will be the final day of walking and we will be at Pokhara by lunchtime. Enjoy a boat ride at the Phewa lake and you can also opt to go for massages. In the evening, the Lake Side comes to life, enjoy your last night in Pokhara. We will now be heading back to Kathmandu. We will take a bus which will take 6-7 hours. You can also take a flight from Pokhara to Kathmandu which will take 25 minutes. After reaching Kathmandu, enjoy your last day in Nepal. We will spend the night in Kathmandu. The time has now come for you to head back to your homeland. Share the wonderful stories of your trek when you get back home. Also, if you want to extend your stay, we at Eagle Eye Trek would be delighted to be at your service.